More than 2,000 women are expected at a “Tu B’Av” festival Thursday evening that expresses the Jewish meaning of love. 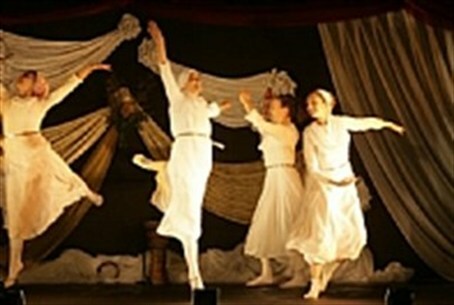 The annual celebration of Tu B’Av – the 15th day of the Hebrew month of Av – is noted in the Talmud as one of the most joyous days of the year, when young Jewish women used to go out to the vineyards to dance, wearing borrowed white clothing in order not to embarrass those who did not have fine garments of their own. The young women would say, "Young man, lift up your eyes and appreciate whom you are selecting [to marry]. Look not at beauty, but rather at the family..."
It became known as a celebration of summer dancing and, and the main gathering in the ancient capital of Israel at Shiloh was one of the few occasions which brought together all the tribes of Israel. The modern community of Shiloh is hosting what has become an annual event – the Jewish dance and music festival designed to popularize the ancient but somewhat forgotten Jewish holiday. Tu B’Av is little known beyond the reputation as a local “Valentine’s Day,” a non-Jewish concept of love based on materialism and which is light years away from the true meaning of love as expressed in Judaism and at the festival in Shiloh. The event is for women only – both secular and religious – and will begin with more than 20 dance workshops and a street fair before a dance performance in the vineyards as the sun sets. The evening will culminate with a showcase music concert, featuring prominent performers Ronit Shachar, Roni Dalumi and Odelia Berlin. “This is a unique celebration, which promises to be both memorable and entertaining for the thousands of women who will attend," said Yechiel Leiter, an official of the Shiloh Renewal Project, one of the bodies organizing the event commented. He added, “I can think of no other occasion where so many people come together to enjoy themselves while at the same time renewing an ancient Jewish tradition. Buses have been chartered to transport women to the event from Jerusalem, Tel Aviv, Modi’in, Ra’anana, Petach Tikva and Givat Shmuel.